Ahhh has the weather been as hot over there where you live as well? It's been amazing here, it's got me in the mood for chilling at the beach! I always love the way you can draw in the sand, and how your feet leave footprints in the sand. 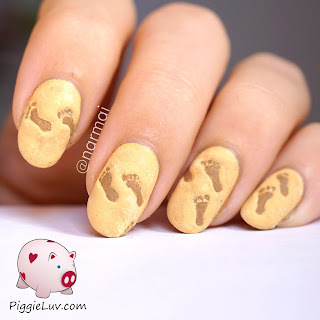 So here's some 3D footprints nail art for ya, plus a video tutorial! Click to see more! The 3D effect is achieved by using a thicker kind of gel polish, I used Kydu black foil gel. 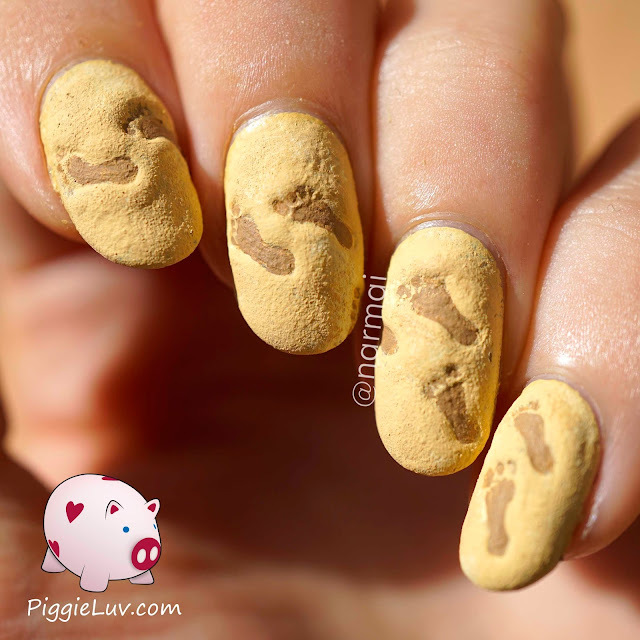 This has to be cured under a UV lamp, because gel polish won't air dry like regular nail polish. And then it has a tacky layer that has to be removed with rubbing alcohol! 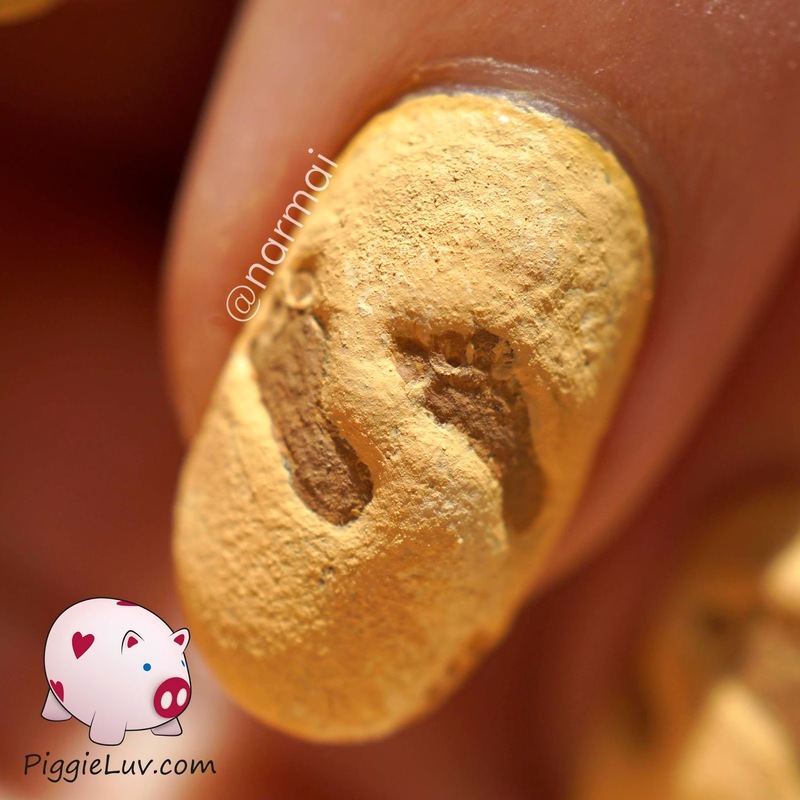 I covered everything in acrylic paint to make it look like sand and not just like my nails were covered in some black gooey stuff :-p I like it! I like the pictures taken in sunlight more, because they show off the 3D aspect of the nails. These were actually not uncomfortable to wear, unlike some of my other 3D designs, hihi! I quite liked them and kept these on my nails for a while.